Much of Altoona’s housing stock is on the verge of lapsing into deterioration, unless attention is paid on a broad scale, according to Community Development Director Lee Slusser. A survey undertaken by the city planning office last summer involving examination of all 9,300 parcels in the low-to-moderate income areas of the city, showed that 20 buildings need to be demolished, 372 need to be rehabilitated and 4,881 — more than half — need to be repaired. “This map raises grave issues,” states the narrative in the survey report. The number of properties needing to be demolished is “manageable,” the report states. Those properties needing maintenance may need rehabilitation or even demolition “in a few years, if nothing is done,” the report states. The planning office undertook the survey to show the city is in compliance in using Community Develop­ment Block Grant money for a code officer and for the police department’s bike patrol in those areas. 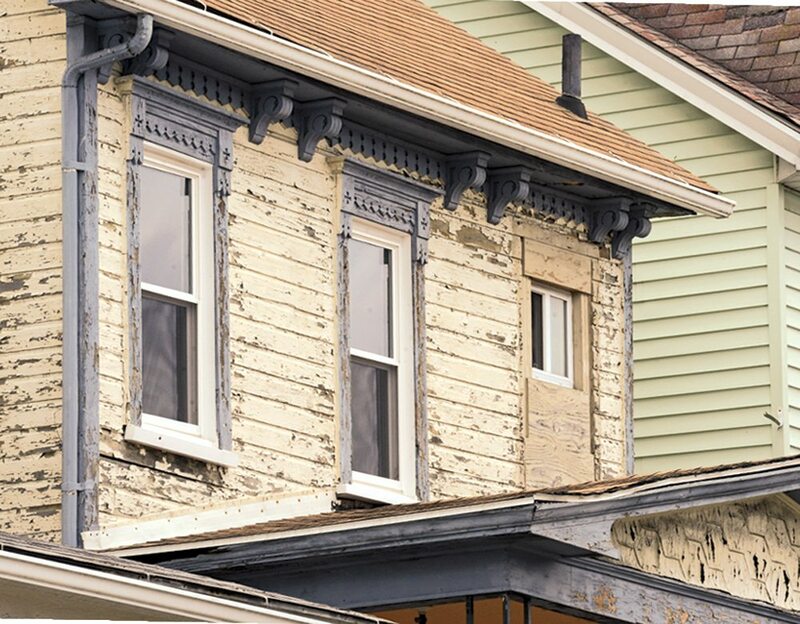 The city over the past half-year has redoubled its effort to combat blight with a task force convened by Mayor Matt Pacifico, which recently gave way to a follow-up implementation committee, the report notes. That enforcement is supported by the code officer who is funded by CDBG money that can continue to pay for those services — thanks to the survey findings, the report notes. Of the 20 buildings in the low-mod areas that need to be demolished, 12 are vacant, and seven are non-residential, the report states. Of the 372 buildings in the low-mod areas that need to be rehabilitated, representing 4 percent of the total, 74 are vacant, according to the report. Of the 4,881 buildings needing repairs, representing 52 percent of the total, 136 are vacant, according to the report. The report lists buildings in need of a new roof, new siding, new windows or other major repairs as requiring rehabilitation. The report lists buildings needing to be repainted or window repairs as requiring maintenance. The survey justified the continued use of CDBG funds for the low-mod code officer by showing that at least 25 percent of the properties in those areas were “deteriorated or deteriorating,” thus meeting a HUD requirement. The report does so with its “structural conditions” map, on which pink represents deterioration. 25 percent pink in the low-mod areas. The survey justified the continued use of CDBG funds for the bike patrol program by showing that the city has areas where the program operates that are at least 50 percent residential, as required by the U.S. Department of Housing and Urban Development for community policing programs. The survey found, however, that some adjustments are in order — eliminating some areas currently served that are less than 50 percent residential, while enabling the addition of some areas not currently covered that are more than 50 percent residential. The survey maps also showed that many sidewalks and curbs in the low-mod areas are in poor condition — although parts of those areas have received new sidewalks, thanks to CDBG funds. There may be a correlation between bad sidewalks and curbing and poorly kept buildings, suggested Planning Commission Chairman Bob Gutshall. Maybe so, but there are sidewalks and curbs in poor condition in some nice neighborhoods, CDBG Man­ager Mary Johnson said. Sidewalks and curbs are traditionally a problem to maintain, at least partly because many residents don’t realize — or can’t accept — that they are responsible for their maintenance, said Commissioner Randy Isenberg, who at one time as a Fire Department official was in charge of code enforcement for the city. Sidewalks are controversial for City Council, too, said Commissioner Michael Haire, a former councilman who recalled championing a sidewalk repair program that died for lack of support from colleagues. State College Borough inspects sidewalks every three years and informs residents that they need to repair problem sections, or the borough will do it for them, then lien their properties, Slusser said. Maybe the city could organize a repair program based on the cooperation of small-scale or first-time contractors, who could do the work at a discount, suggested meeting attendee John Orr. “It’s always a funding issue,” Isenberg said.